PAF, Humbucker guitar pickup from Bogner. 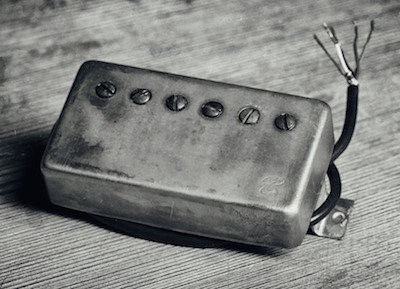 Bogner partnered with Californian Arcane Pickups to design a range of guitar pickups for vintage tone lovers. The Bogner PAFs will be available starting November 1st directly at the brand’s website. Bogner adds that single coil models are hand wounded while humbuckers are wounded on a vintage machine. TC Electronic Presents for All Deal TC Electronic has launched a special offer for guitar players who can receive free pedals through the end of the year. New Soundblox 2 multi-filter pedal for guitar Source Audio announced the release of a new Stingray multi-filter stompbox for guitars in the Soundblox 2 series. PRS launches the Angelus Tree of Life limited run The Tree of Life guitar manufactured this year by PRS’ luthiers is based on an Angelus acoustic model.